One handy tool in any email system is searching and filtering. For this demonstration, the scenario will be a teacher wishing to keep track of all of the field trip notices sent by other teachers. I am also using the Web Outlook for consistency. Different mail clients (including the desktop version of Outlook) may behave differently. I always use Web Outlook because it provides a consistent experience across all computers and devices (in my district it is accessible at mail.surreyschools.ca). 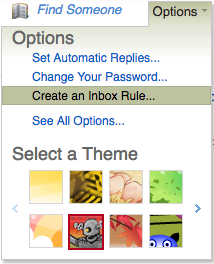 The first way we can sort emails is to search the inbox. 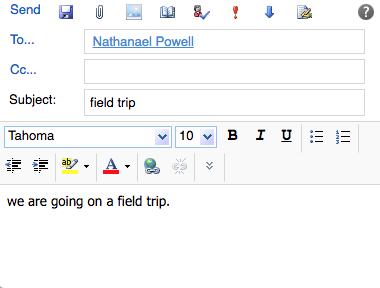 This will return any email that contains “field trip” in the subject line or the body of the message. 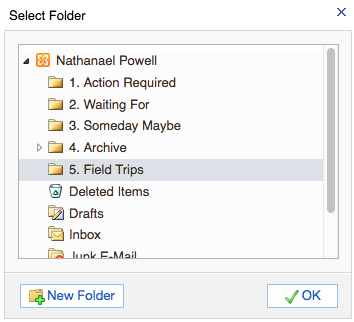 Create a new folder called “Field Trips”. 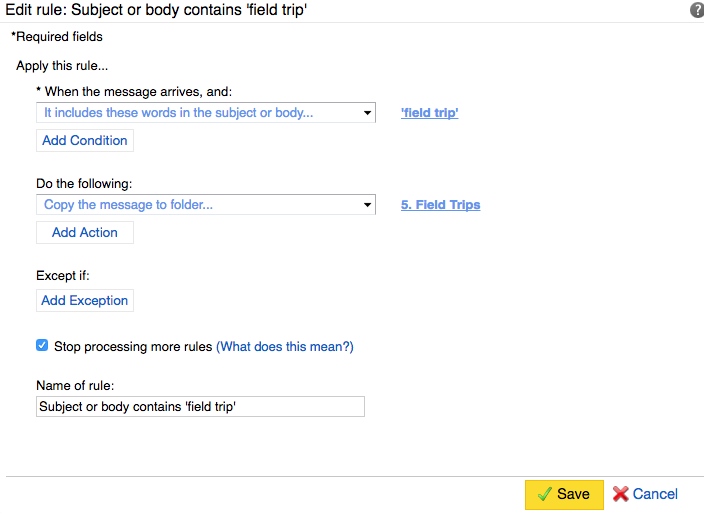 Create an Inbox Rule so that every time a new email enters my inbox containing “field trip” in either the subject or the body, a copy of the message will automatically be filtered to my “Field Trips” folder. Now if I am interested in seeing the field trips going on in the school, I can click on my folder and have easy access to all the messages in one place. 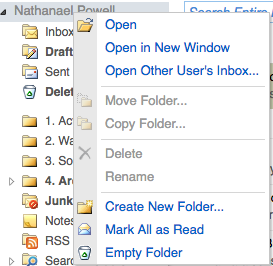 Folders can be used manually to sort emails but there is an easier way – creating an Inbox Rule! After sending the message, it not only appears in my inbox but also in my new folder. The folder bolds and has a (1) next to it, indicating there is 1 new message. 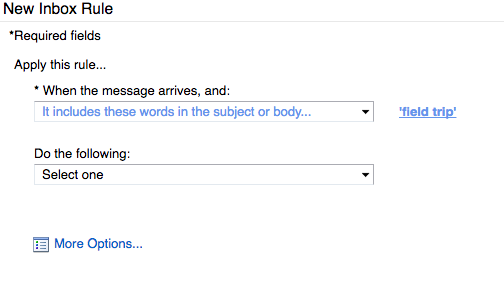 Inbox Rules can be set for anything, even filtering emails from specific email addresses. I subscribe to a few list-servs and newsletters and instead of having the messages fill my inbox, I have an Inbox Rule set so that these messages skip my inbox and go to a specific folder. Have fun filtering emails!